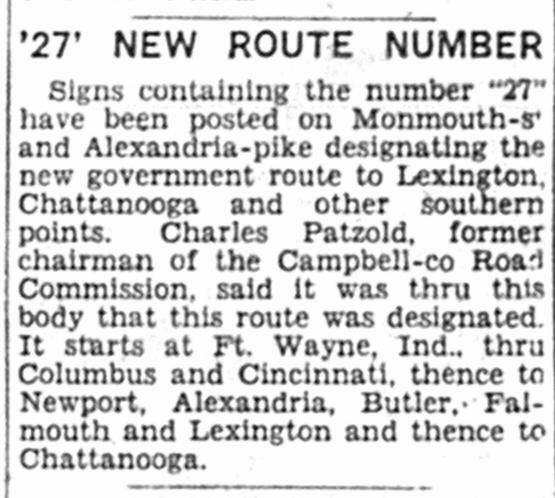 from the Kentucky Post, November 13, 1928. This is the date they gave the road the number. The road, of course, is much older.